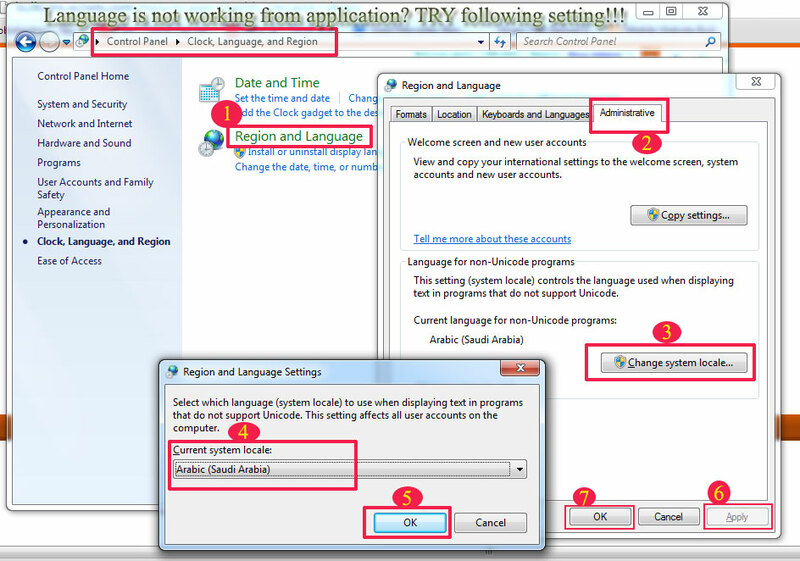 Steps to set language option working!!! 1) Open "Regional And Language Option" from Control Panel. 2) Click On "Advanced" tab / in some OS it is "Administrative" tab. 3) Select Arabic(Saudi Arabia) from dropdown / in some OS it is "Select System Locale" button then select Arabic.